If the eyes are the windows to the soul, then your doll can have any ‘soul’ that you wish. All it takes is a change of eyes! It is amazing how a change of eye color and type can make such a difference in your doll’s appearance. There are many types of doll eyes available too, from highly realistic to scary, or cartoon-like, or cosplay. While there is an abundance of eye choices available to the doll owner, eyes are usually made of one of four materials; glass, silicone, acrylic, or urethane. Glass eyes have been used in dolls for about as long as dolls have existed. Glass eyes are durable and have a glossy shine that looks natural in person and in photos. With glass eyes you usually get what you pay for. The less expensive glass eyes are not as detailed. The high quality eyes that are available with more detail like threading in the pupil can be very expensive. Glass eyes are also heavy and come in a smaller range of colors than other types of eyes. 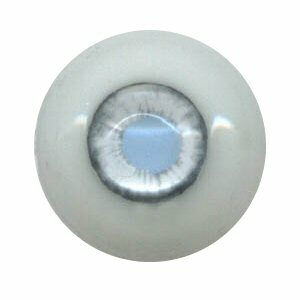 ‘Soft glass’ eyes are made of silicone. They come in a fairly wide range of colors. These eyes are flexible so they can fit well in dolls with awkward eye openings. Being silicone, they also have a slightly sticky surface that can collect dust. For this reason, they need to be removed occasionally for cleaning. Silicone eyes do not have as much shine as other types of eyes, and some people who photograph their dolls find this flatness unattractive for pictures. Acrylic eyes are very popular. They are quite inexpensive and companies have gone all out designing unusual looks. 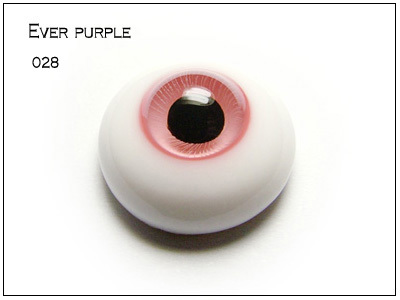 There is a huge range of possible colors in acrylic eyes. They are also very light. Some doll collectors find them too plastic in their appearance. They are softer than glass, so they can scratch. A newer type of eyes is urethane. They were once very hard to find but now they are readily available. Some people consider them similar to glass in appearance, and they come in a huge range of colors. Like acrylic, resin eyes can also scratch. Are there other alternatives? Well, you can make your own eyes, which, not surprisingly when you are dealing with a customizable doll, is not that uncommon. The choices for making your own are only limited by the imagination and the practicality of the material. Even glass gems and polished rocks have successfully been used in place of eyes. Ultimately, the choice of eyes is limited only by the personal tastes of the doll owner and the budget. 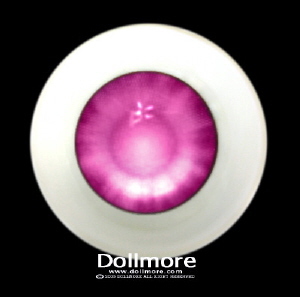 Commercially made doll eyes can be easily bought for less than $10 or up to $100! Note:Many Companies that specialize in doll eyes have been added to the list of dealers and vendors. Also, doll eyes are available from most doll sellers and doll companies. Happy shopping! I am currently in my 3rd year at university at the School of Jewellery, Birmingham, England. I am looking to create a bag out of dolls eyes and wondered if you had or would be able to help me look for samples and seconds of your glass or plastic eyes, I look forward to hearing from you. You can also make a mold out of plaster and cast the eyes in sculpy or any other clay as well. If you have access to a kiln, you can even make them out of glazed fired clay. The advantage to making your own is that you can make them the size and color you want. It will also make your project much less expensive to make since doll eyes range from $10 to $100 a pair depending on the type. Good luck with your project!